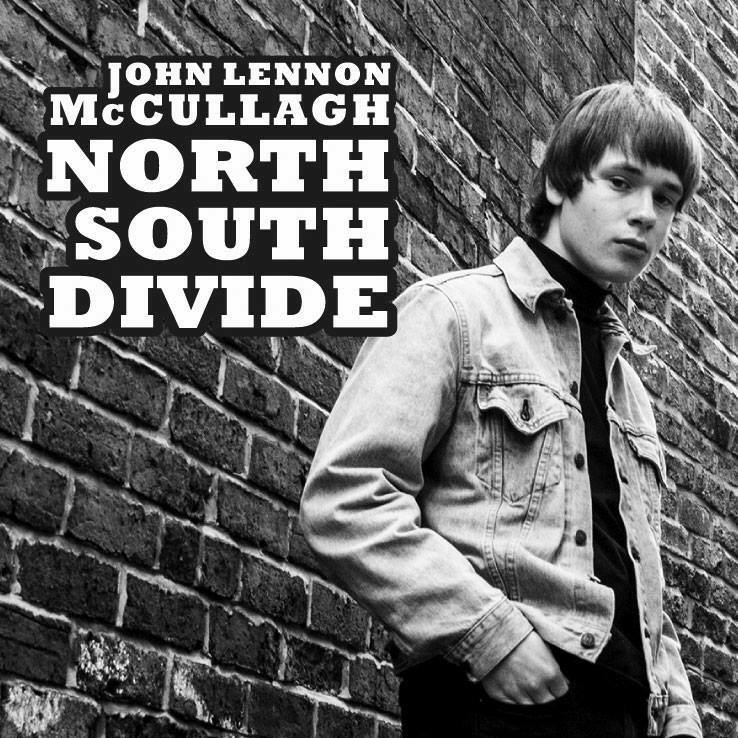 ENRAPTURING archaic, new-wave folkster, John Lennon McCullagh is a 15 year-old like no other, producing a form of music which most experienced musicians can't even dream of creating. Armed with his Gallagher-esque slur of a voice and a meritorious guitar being, we can can most definitely liken his brilliance to a certain, Mr Bob Dylan. Hailing from Doncaster, this folky prodigy has already caught the eye of Alan McGee who has signed McCullagh to his 395 records label, if this isn't enough, his debut album, 'North South Divide', is due for release October 14th. I have already touched upon the Dylan sounds incorporated within his music, yet, believe me, listening to McCullagh's latest single 'North South Divide', we can set that definition in stone. Graced with the inspired LG vocals, the rough-around-edges sound scratches at convention, spitting out a poignant bitterness, capturing the whole meaning of the track within a deeply rooted mix of ever-changing chords and choppy vibrations. Slowly taking on the persona of a much older generation whilst also channelling our own sorry excuse. This track is definitely eye-opening, whether it be spelling out how we feel or perhaps combining all our wider, much deeper emotions, acting as a voice of change. Just like Dylan did, back in the day. When I was about 12 after listening to Bob Dylan on the radio. Have your parents played a big part in your music taste? Yeah a big part, if it wasn't them I probably wouldn't have been into the music I am. When do you know if a track sounds good? I sometimes don't know myself, so i'll play it to my dad or someone and see what they think, sometimes i just know if it sounds good though, depends. Are there any musicians that you're liking the sound of at the moment? Yeah, just got massively into Leonard Cohen and Van Morrison, definitely my two favourite song writers after Dylan. Where did you play your first ever gig? First ever proper gig was at a pub in Rotherham called the Charters arms. None at the minute haha, just check my hair haha! What do you enjoy most about playing a show? Where would you like your music to go, what directions would you like it to take? Well at the minute it's just me guitar and harmonica, i will defo like to get a band at some point in the future, and see what different music i can come up with that sound. What's 'the dream' for you? Every day is the dream for me. Finally, what are we going to be hearing from John Lennon McCullagh in the next couple of years? Whatever songs i'm writing at the time.